On Tuesday, Nebraska’s four junior college additions that are already on campus spoke to the media for the first time. The first of those four to commit to the Huskers was defensive back Deontai Williams, a native of Jacksonville, Florida, who took a long and winding road to Lincoln. Williams garnered several high-level offers out of high school at Trinity Christian Academy but committed to Florida in January of 2014. Six months later, Williams flipped to Georgia. On National Signing Day of 2015, Williams flipped again and signed with Ohio. However, Williams ultimately had to take the junior college route, signing with Jones County Junior College in Ellisville, Mississippi. After two years at Jones County but only one on the field (more on that later), Williams got another offer from Florida and committed in June. Shortly after Nebraska hired Scott Frost, Williams decommitted from the Gators again and joined Nebraska’s 2018 class as an early enrollee with three years to play. Defensive backs coach Travis Fisher had already been recruiting Williams to Central Florida and the coaching staff was just as interested in recruiting him to Lincoln. Williams didn’t quite know what to make of Nebraska when Frost first mentioned it; his introduction to the Cornhusker State came via the big screen. Williams said he hasn’t seen a farm since arriving in Lincoln. Ellisville’s population is less than 5,000, a far cry from Jacksonville’s nearly 900,000. That environment turned out to be just what Williams needed. Williams suffered a knee injury during his first game at Jones County that knocked him out for the season. He was granted a medical redshirt, which is why Williams has three years to plays three seasons in Lincoln. Williams recovered and totaled 26 tackles, two interceptions and two forced fumbles last year as the Bobcats put together an 8-2 season. Now, Williams is in Lincoln and has already transformed his body thanks to Zach Duval’s strength and conditioning. Williams said he gained 20 pounds in just two months at Nebraska, jumping from 180 pounds to a “solid 200” at 6-foot-1. 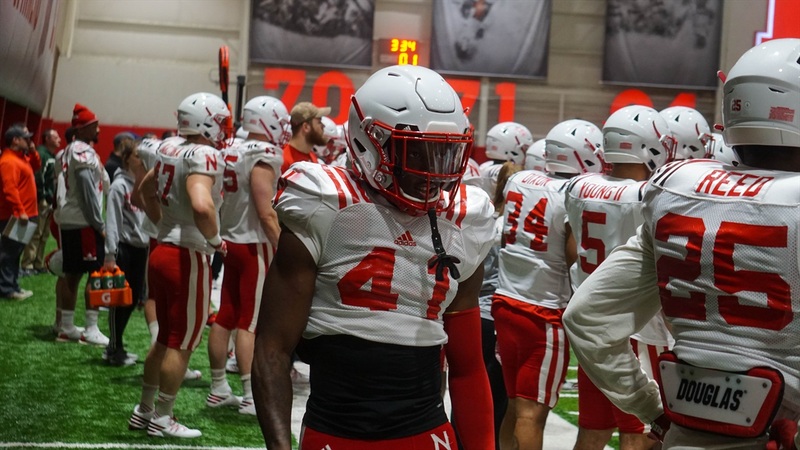 Williams was one of the players mentioned by Frost during his press conference on Tuesday. William’s hitting ability is certainly his calling card, but the safety doesn’t want to be known just as a thumper. That being said, Williams does have to be conscientious about his actions in practice to make sure he keeps himself in check. Though the players are working in pads now, they’re still not going totally live. Williams said he appreciates Fisher’s honesty within the defensive back room. As for the players, Williams said he’s hanging around senior safety Aaron Williams and junior cornerback Lamar Jackson. Once JoJo Domann is cleared to return and all of the newcomers arrive on campus, safety should be one of the deepest position groups on the team, and the Huskers are hoping that competition will get the most out of the players. Williams’ Twitter handles is @IWILLSTILLRISE, and after five commitments, a junior college detour and a year on the shelf, he is finally ready to live up to that handle and make an impact at the Division I level.